Pressure relief mattress overlay systems are often affordable and effective ways to provide pressure relief, but these systems will usually require the use of an underlay to provide adequate support. The Sidhil Softrest Thin Foam Pressure Relief Underlay Mattress is just such an underlay, and is made of dense foam to provide support and additional relief for overlay systems. Designed for use under overlay mattress systems, it can provide that additional layer of support and comfort needed. Overlay mattresses are most effective when used with an underlay mattress, making them suitable for profiling and more substantial pressure relief. 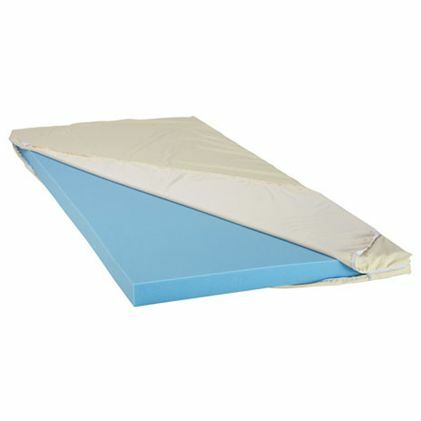 This Foam Pressure Relief Underlay Mattress is made of dense foam, providing an extra level of support, stability and pressure relief to overlay systems. Please be advised that the Sidhil Softrest Thin Foam Pressure Relief Underlay Mattress is usually delivered within 1 week of your order being placed. We would advise you to consider this delivery estimation before placing your order. For more information, please contact our Customer Care Team at 020 7501 0592.